Ever wonder what it would be like to get an alternative perspective on genetics, health policy or pharmaceuticals outside of the university setting. Cafés Scientifiques offer a unique, comfortable way for everyday people to interact with top scientists and researchers. The Cafés Scientifique is a relatively recent phenomenon that is gaining in popularity. The first Cafés Scientifiques were held in Leeds, UK, in 1998, and were based on the French concept of the Café Philosophique. In France, scientists began the movement to better inform the general populace about scientific research. In the United Kingdom, the cafés were initiated by members of the public who were interested in finding out more about science. Cafés Scientifiques gradually spread worldwide and there are currently more than 70 such cafés that meet on a regular basis to discuss recent scientific research or debate controversial topics. To keep the environment as informal as possible, Cafés Scientifiques are hosted in a range of venues. The most common locations are bars or cafés, though some use restaurants, bookshops, theatres, or community spaces. The topics discussed vary as well, and have included cancer prevention through healthy eating and physical exercise, the role of genes in disease, the science of resolutions, vaccines, the future of energy in Canada, and ­— my personal favourite — how zebrafish may help us treat alcoholism. In the past decade, the purpose of the Café Scientifique has shifted from public understanding to scientific communication and public engagement. The cafés have been embraced and supported by various academic disciplines, government departments, research institutes, politicians, and policy makers. They may have been considered avant-garde at the time of their inception but have now become a part of the scientific community. There are various Cafés Scientifiques held in the city of Toronto, organized by institutions such as the Canadian Institute of Health Research (CIHR), the Ontario Science Center, the Hospital for Sick Children, St Michael’s Hospital, and the Ontario Institute of Cancer Research. Although in some cases there are small entry charges, the Cafés Scientifiques hosted by CIHR are free of any admission charges and are representative of the typical structure of a Café Scientifique. These cafés are devoted to health issues that concern the general public. Anyone may attend the café from undergraduate students to friends and family members of patients suffering from the conditions being discussed. The overall structure of the CIHR Cafés Scientifiques includes a moderator and a few experts on the subject. After all of the panelists has spoken, the group takes a small break for snacks and coffee and are given the opportunity to ask the speaker questions in an informal setting. 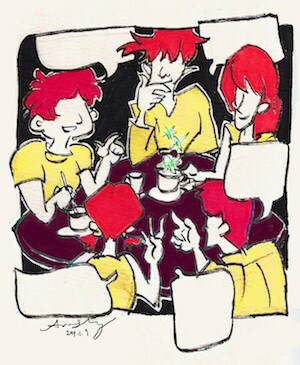 The cafés offer a pleasant milieu to ask questions of all levels and have them answered by professionals. 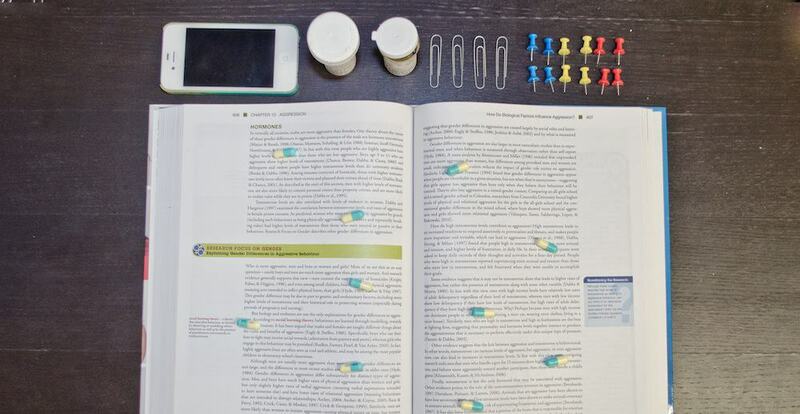 Most University of Toronto students will at some point in their undergraduate careers find themselves frustrated with the Blackboard Learning System. Those disillusioned with the online course management platform usually cite Blackboard’s seemingly unintuitive user interface as its greatest downfall. What is interesting is that the question of Blackboard’s invasiveness does not seem to have yet garnered much attention. Perhaps this will change once students are made aware of both what, and how much, information Blackboard grants professors access to. As students, we have access to information our instructors have deemed to be, in some way, relevant. Blackboard is intended to function as an online extension of the classroom — instructors make available whatever materials or tools they feel will help students participate and excel in their course. The justification for using an online learning platform is that it is there for the benefit of the students – so that we may access useful information that will aid in our success. This should all sound familiar; however, what might come as a surprise is the revelation that course instructors are in turn supplied with data regarding their students’ study habits. Instructors are made aware of which students are opening course documents and how often. In other words, even if you’ve managed to strategically avoid being called on in class, your professor might still be aware that you have not done the reading. Instructors have access to the Control Panel, which features a tool called the Performance Dashboard that displays information such as when a student last viewed the course’s online homepage, the number of days since they have viewed the course homepage and how many times they have posted on the course’s discussion board. To take it a step further, instructors may pull up a detailed report showing how many course items a student has viewed, and if the instructor so chooses, they may investigate exactly which particular items a student has viewed. 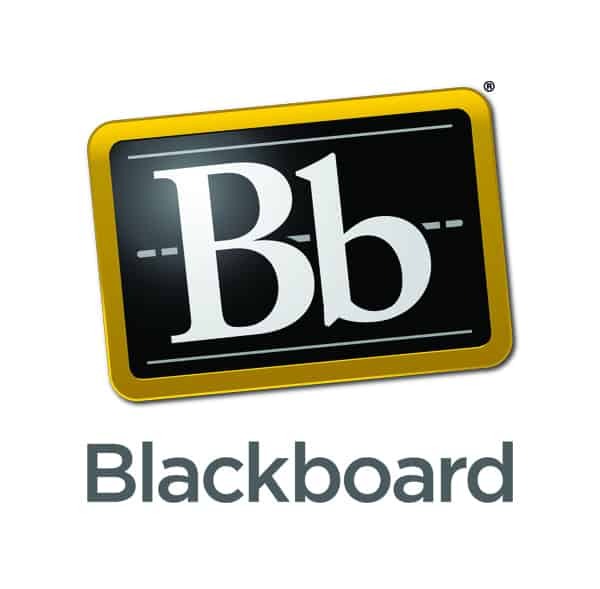 When students first learn of Blackboard, they are not made aware of the fact that their personal use is monitored. A basic outline of what type of data an instructor can gather using Blackboard is made available on the University of Toronto website. However, this information appears in a section pertaining only to instructors. The portion of the University of Toronto website designated to explaining Blackboard to students contains no information regarding how students’ use of the site is monitored. In other words, though the University of Toronto’s website informs students of their instructors’ monitoring capacities, students would already have to be suspicious of the system in order to ever find this information in the first place. Though information regarding how instructors can use Blackboard has not been hidden from students, it may just as well have been. There are some very difficult questions surrounding whether or not the transmission of this type of data is justified — that is to say, whether or not instructors ought to have access to when their students use Blackboard and what they do with it. As mentioned, Blackboard is presented as something to help students grow academically, its slogan being “Enrich the conversation, Engage your students, Enhance learning & teaching.” Does transmission of my study habits really allow learning and teaching to be enhanced? It’s hard to see how that might be the case. And it’s even harder when we are kept in the dark. No, I guess we were not deceived, but then why does it feel like we have been? Just as it’s hard to see if this transmission of data helps students, it’s also hard to identify, definitively, if it’s something that is hurting them. I have no way of knowing if this data has any influence at all, positive or negative. The purpose of this piece is not fearmongering, but simply providing the information that students were never given about how Blackboard works. Students are given incomplete information regarding something that they do not have the option of refusing to use, and this is a problem. Students are required to use Blackboard, and yet, are not informed of everything they tell their instructors when they use it. If using a particular platform is made to be compulsory, it seems fair to claim that we should be informed of the information we implicitly consent to providing each time we use it. Phyllis Pearson is a philosophy student at Victoria College. There is so much student theatre that goes on every year at the University of Toronto that it can be overwhelming to try and keep up with it all. This winter semester alone will feature three different musicals, the work of T.S. Eliot, a play by Shakespeare, and the annual Hart House Drama Festival. We’ve compiled a run down of all the upcoming shows, so you’ll know what to expect and what not to miss. U of T currently has five separate drama societies on the St. George campus, in addition to the University of Toronto Mississauga Drama Club. The Victoria College Drama Society starts the semester off with their production of The House of Bernarda Alba, written by Spanish playwright Federico Garcia Lorca. The play details the lives of women in the villages of Andalusia in southern Spain; matriarch Bernarda Alba lives with her five daughters who struggle against their own predetermined fates and against each other. The play boasts an all-female cast, a first for this year’s line-up of shows. Director Catriona Spaven-Donn explained that she was drawn to the play because of its embodiment of the Spanish language, culture, and history. “The boundaries between the artifice of the stage and reality blur as each actress embodies her character and as we feel the Andalusian heat, fear Bernarda’s wrath, and mourn the tragic end of the play,” explains Spaven-Donn. The play will run January 16 to January 18, at the Isabel Bader Theatre. The Trinity College Drama Society is putting up two shows this winter: T.S Eliot’s Murder in the Cathedral, January 30 to February 1, and Stephen Sondhiem’s Into the Woods, March 19 to March 21. Murder in the Cathedral tells the tale of the historic murder of the Archbishop of Canterbury Thomas Beckett, with the actors dialogue reflecting Eliot’s poetic style. 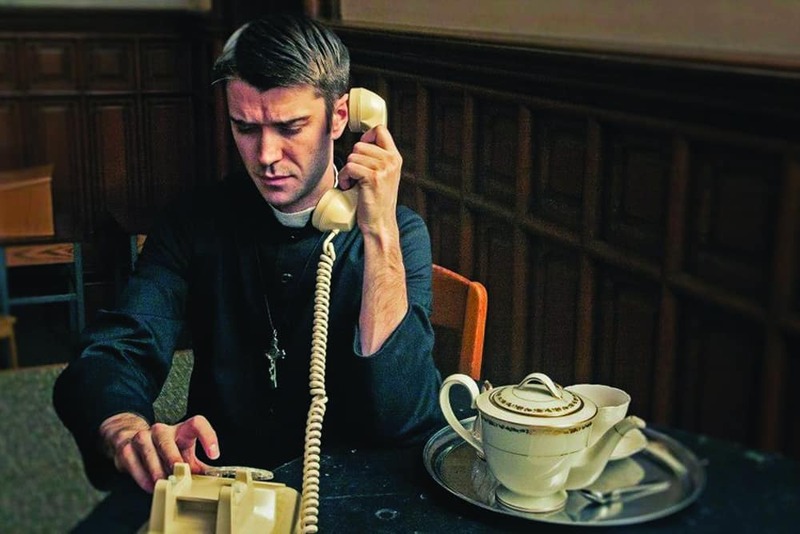 “The play itself is a fascinating exploration of martyrdom, and through it questions of calling and sacrifice, which touch all our lives,” explains director Thomas Slabon. The play will be performed in the Trinity College Chapel, where it has been staged twice already, once in 1959 and again in 1990, and will feature a live choir. Into the Woods is a musical depicting the lives of a wide range of storybook characters, from “Little Red Riding Hood” to “Jack and the Beanstalk.” Written by Stephen Sondhiem and directed by Peter Perri, the musical tells the story of before and after the characters’ “happily ever after,” serving as a dark reminder that such things rarely exist, even in fairy tales. The show will run from March 19 to March 21 in the George Ignatieff Theatre. University College’s theatre group, the UC Follies, are rounding out their season with two musicals: Bob Fosse’s Sweet Charity and Belle Gunness: the Black Widow of LaPorte, a musical written by former U of T student Peter Grant Mackechnie. Sweet Charity tells the story of a down-on-her-luck taxi dancer in 1950s New York. Director Victoria McEwan described the show saying: “The show, although dated, touches upon identity crisis, fear of the future, and lousy jobs and relationships: all things we as weary twentysomethings deal with on a daily basis.” The show will run for two weekends, January 31 to Feburary 7 in the Hart House Theatre. Belle Gunness: The Black Widow of LaPorte is a new musical, based on the real-life serial killer of the same name. Living in the mid-west United States in the 1900’s Gunness killed 20 victims, among them her own spouses and children. The musical will follow her exploits in the town of La Porte, Indiana. Composer Peter Grant Mackechnie is a recent graduate of the University of Toronto Faculty of Music and cites Jason Robert Brown, Stephen Sondheim, and Leonard Bernstein as musical influences. The show will run for two weekends, March 14–22, in the Al Greene Theatre. St. Michael’s College is generally known for its annual fall musical, but this year the newly founded St. Genesis Drama Society will be presenting Antony and Cleopatra, at a date still to be determined. Finally, the annual Hart House Drama Festival will be taking place this February 12 to February 15 at Hart House Theatre. It will feature student-written one act plays from all of the different dramatic societies on campus. That is to say, there is some theatre going on for almost everyone, be it the musical enthusiast, English student, or lover of student-written work. More information can be found on the U of T Drama Coalition’s Facebook page. Overnight road trips are often synonymous with leisure, adventure, and the unexpected, but for the University of Toronto’s Varsity Blues athletes, these trips provide a chance to mentally and physically prepare for one thing: a win. Both men’s hockey defenseman Cameron Bernier and women’s basketball forward Liane Bailey explained their experiences with road trips to The Varsity. Throughout the season and pre-season, athletes travel all over Canada and occasionally south of the border for games, tournaments, and competitions. 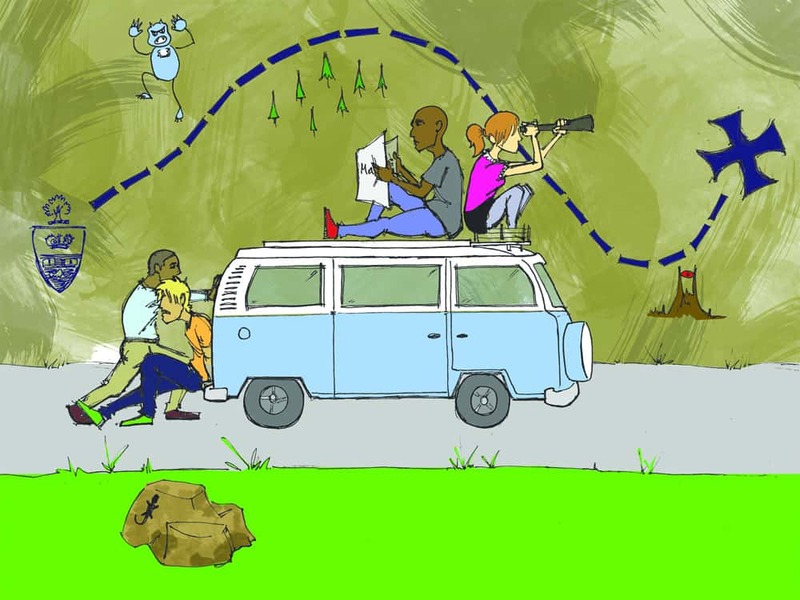 During these trips, the athletes need to focus on the challenges posed by their opponents, despite the natural desire to explore the new cities on the way to their final destination. “We always take road trips seriously because we need to win games, and the focus is on basketball,” says Bailey. Bernier echoes this statement in saying that, “Most guys only bring a bit of homework on the road unless it is around exam time, so it really gives us an opportunity to focus on the hockey.” Consequently, the itinerary remains simple and basic on these trips, allowing athletes to prepare for games and competitions during the little time that they have between sleep and the road. Bailey also reflects on an unforgettable experience while travelling with the team: “One of my most memorable road trip experiences was in my first year on the team when we travelled to Fredericton, New Brunswick to play in a championship for a berth to Nationals. It was a big challenge because the winner of the tournament got one of the eight spots at Nationals. “It felt absolutely amazing to win our way to Nationals. It was especially sweet because we won the championship game against the Western Mustangs, a team that we have a big rivalry with,” she explains. In addition to memorable moments, road trips give “players a chance to bond a bit more as a team, and in the early part of the season, really get to know the new guys and the new team dynamic for the year,” Bernier explained. Not only does this opportunity to bond add to the fun of any trip, but it also creates a positive environment where the sport and the games become focal points, and where each player can perform to the best of his or her ability. “It isn’t easy trying to win on an opponent’s court in an unfavourable atmosphere and that’s a reality that all varsity players know,” Bailey says. Road trips are certainly a part of the experience of being a varsity athlete that students look forward to. With a shift to the west division this year, the men’s hockey team has not been on as many overnight road trips and have found themselves yearning for them. “You can tell that the second–year players and older are sometimes missing those weekends when we are away from Toronto for three or four days, and living a much simpler lifestyle,” said Bernier. Beyond all of this, road trips are an opportunity for our varsity teams to represent the University of Toronto as best as they can, and based on the dedication and enthusiasm apparent in Bernier and Bailey, there is no doubt that they are doing just that. 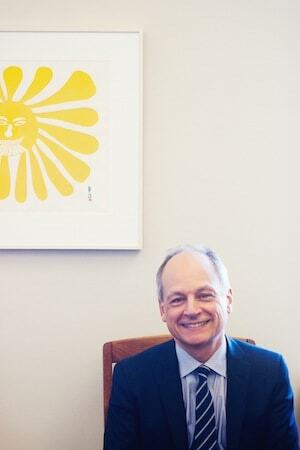 Meric Gertler takes the helm as the 16th president of the University of Toronto at a critical time for the university. 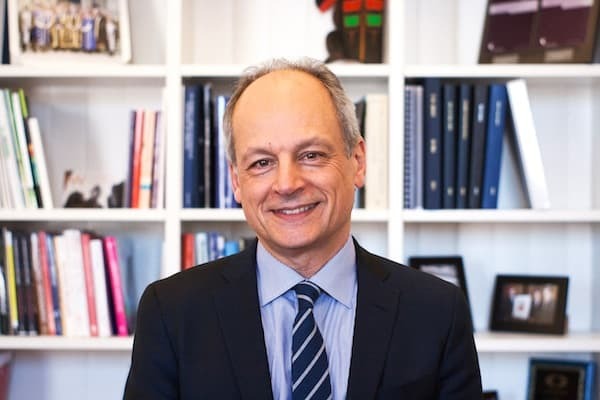 Gertler has taught at U of T for 31 years, assuming a number of senior leadership posts — most recently serving as the Dean of the Faculty of Arts and Science. 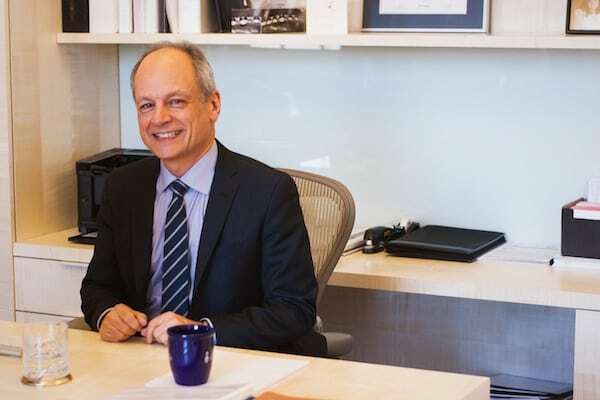 As dean, Gertler occasionally raised the ire of student leaders, particularly when he oversaw the implementation of the controversial flat fees system — which was recently rolled back by the provincial government due to concerns about affordability for students. 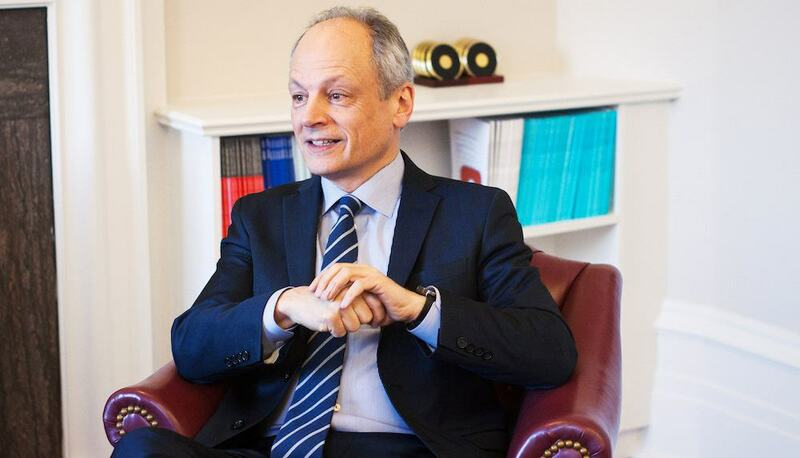 Gertler was mostly a popular dean, increasing the number of small first-year classes, and collaborating with the Arts & Science Students’ Union on a number of initiatives, including the popular undergraduate research fund. 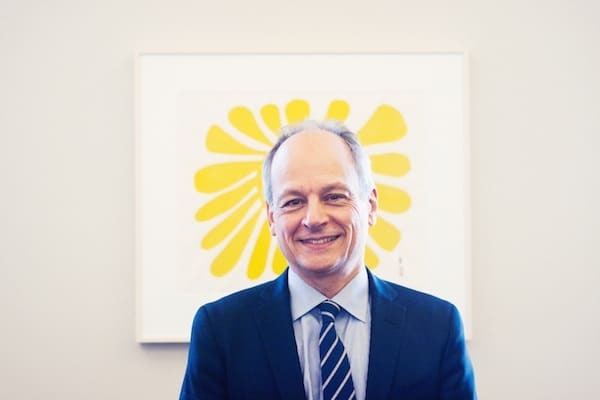 Now in the university’s top job, Gertler sat down to chat about the challenges he faces: reduced per-student funding from the province, dysfunctional student politics, and a public that is skeptical about the value of a university education, as well as the positive impact he hopes to make on the university over his five-year term. TV: Do you think that universities should be graduating students job-ready? MG: I think that the role for the university is to produce students that are properly educated for a lifetime of success in their careers. Does that mean job-ready? Well, probably not in the sense that public commentators have used that term. The way I would understand job-ready is that we train and educate students so that they leave here with a core set of capabilities that they can use in any job, or that will set them up well for graduate school or professional school. We’re talking about things like the ability to communicate well verbally and in written form, the ability to analyze a problem and solve it, the ability to be a critical consumer of information, question arguments and rephrase them, have some faculty of quantitative reasoning, and to be able to manage letters as well as numbers. And also, I think to have some basic grounding in moral and ethical questions. So, these are the kinds of things that I actually have spent the last seven or eight years working on in Arts and Science, trying to make sure that each of the programs in that faculty deliver those kinds of core competencies. TV: When you were first appointed president you described the provincial tuition fee cap, which was a five per cent at the time, as adequate. As you know, the government announced a three per cent cap over the next four years, and they recently announced a number of changes to program fees and interest fees which you, in a previous interview, said would cost the university up to $16 million. TV: How has the university adjusted to funding cuts so far, and how do you see the university trying to adjust in the future? MG: So, we are still digesting the news. There was some lack of clarity in the press release, and the directives from the ministry were not exactly clear on how these changes to tuition fees would be implemented. We were pleased that they even gave us a year to plan and to become ready for the adjustments that would occur. They are fairly large changes, and so we don’t want to rush into decisions. We’re also hopeful that within a year, other circumstances would change that would actually help blunt the impact of these policy decisions. TV: We had a few questions submitted by students. So this is by Rishi: As an urban geographer, U of T has recently struggled with local neighbourhood associations regarding the construction of high-rise student housing on or near campus. As an urban geographer, do you believe the present availability of housing – both residents and off-campus housing — for U of T students is adequate? And if not, what needs to be done in the next 20 years, and how will you facilitate that? MG: That’s a great question. So the answer is no, I don’t believe the current supply is adequate — both on or off campus. We have a rapidly growing demand for student housing on campus – both from domestic students and international students. We are doing everything we can to find ways to build more student housing on all three of our campuses. It is most challenging in the downtown setting where space is at a premium and land is scarce. Whenever you propose new projects, there are neighbourhood effects, and it’s really important to work effectively with the appropriate groups in order to plan projects that serve everybody’s needs and help our students get the kind of accommodation they want and need, but do so in a way that doesn’t offend our good neighbours. I would think that it’s possible to do that; we’ve already begun conversations with community-based organizations. I’ve met with a local councillor. I’m actually going to be meeting with the heads of all the neighbourhood associations at the St. George campus – that’s coming up later this month, and I’m looking forward to that as well. TV: It’s great that you’re meeting with them. Are you going to be pursuing anything different with them in terms of policy? MG: Not so much policy, but maybe in terms of practice. We’re going to bend over backwards to make sure that resident groups and associations are well-informed about what we want to do. We want to engage them in discussions about our plans and seek their input and ideas, and work in a collaborative way. We’ve tried to do that in the past – sometimes it’s worked and other times it hasn’t worked. I think we have a real interest in making sure it works well. More generally, though, coming back to the other aspect of the question in terms of housing outside the campus, I think Toronto has an affordable housing crisis. I think it’s one that’s going to get worse every time before it gets better, unless we think intelligently about how to fix it. I would love to see U of T experts in housing leading the debates about how to provide more affordable housing in the city. Related to that, though, is where that housing is, how far away it is from campus, and how students get from that housing to that campus. TV: Do you think the university should be doing more to improve those areas in the Maclean’s ranking, where we consistently slip? MG: Absolutely. I think we have achieved a lot in the last few years, and it does take a while for perceptions to change. But that doesn’t mean that you take your eye off the ball. So we were talking a little while ago about the ONE programs, these first-year foundational programs. What they are trying to do is make sure that in this very big place there are some small group experiences in sufficient numbers. The first-year foundational programs are important. So, too, are first-year learning communities, which build smaller cohorts within very large classes. Those have proven to be hugely successful in our life sciences courses, and have now been adopted in others as well. And, particularly targeted to commuter students who find it especially difficult to build social networks, make connections, and feel a part of campus life. So we need to be doing more of that. We also need, of course, to ensure that there are more opportunities for students to engage in enriching experiences like research opportunities. We know that a lot of undergraduates come to U of T because of our research reputation. They want to be able to work with those stars who raise our position in those international rankings. They crave that kind of interaction. And so one of those things I worked hard at, as Dean, was to provide more of those opportunities. One of the ways we did that, by the way, was by partnering with the Arts and Science Students’ Union. They came to us with a great idea: to create a research fund to which undergraduate students could apply. They challenged us to match it dollar-for-dollar. In fact, we ended up matching two dollars of our money to every one dollar from them. And we set up a competition and invited students to come forward with proposals. It’s proven to be hugely popular and effective. So more of those kinds of things and – this is where my urbanist interests come in very naturally – more experiential learning and service learning opportunities, where students are working in the community locally, but not necessarily locally, but abroad as well, to not only apply their learning in the classroom in the field as it were, but also to do some good as they are doing too. It is of benefit to both the student and the community partner they are working with. We have, again, a lot of great examples of that on all three campuses. But we want to do more. So we want to identify those examples that have been most successful and scale those up, too. International experiences are something that students want more of, and that’s something I learned more of in Arts & Science. For us, we face a particular challenge because so many of our students are commuter students. So it means that, often they have part-time jobs and family responsibilities. It’s difficult for them to spend a summer abroad, let alone a whole year abroad. So we’ve had to develop more innovative ways to deliver more international opportunities to them. The one that I think is the coolest idea is these ICMs (International Course Modules) where students or faculty members can apply to the Dean’s Office for a grant to take a class, or a subset of a class, overseas for a week, ten days, or maybe two weeks. It’s to study the phenomenon they’re reading or talking about in class, up close and personally. We started those as a pilot four or five years ago and they’ve just mushroomed, they’ve been so popular. There are a lot of those kinds of innovations that don’t cost that much money but, you know, enrich the experience for students and help offset what they might otherwise be experiencing in very large, less satisfactory environments, and really make them feel connected to this place. I think that’s our biggest challenge, that kind of sense of connection, of affinity, of identifying and feeling welcome here. There are a lot of things that we have been doing, but we know that we have an awful lot of work still to do. TV: One of the things I wanted to ask you about was donations. I know that as Dean, you raised $175 million through the Boundless campaign. You’ve identified fundraising as a core goal. How do you maintain academic freedom, and how do you balance the concerns of groups like the Faculty Association or the students’ unions who have repeatedly raised concerns about the fine print in donor agreements? MG: Well, that’s an important question. Let me just start by noting that a pretty big chunk of the money we’re trying to raise in the Boundless campaign, including much of the money I’ve raised in Arts & Science, is earmarked for student scholarships, undergraduate and graduate, domestic and international. TV: If I can be specific, I’m talking about things like, let’s say, the Rotman donation or the Munk donation which come with caveats like a yearly report to the donor and a donation that’s broken up into 14 years so that, presumably, if a yearly report didn’t go well, the funding could stop at year two or year seven. MG: So, I understand the concerns that have been expressed about those. But I think it’s important for people to know that, when you talk about the evils of fundraising, or the benefits, fundraising is for many purposes. And an awful lot of it is motivated by the need to raise money for scholarships for students. But in those other gifts that you referred to, the monies are going to help finance buildings, to help finance professorships, to help create program opportunities that would not otherwise been possible. And they have been transformative. I mean, I’ve been lucky enough to have an office at the Munk Center, now the Munk School, the original building. I have seen first-hand what a difference that philanthropic generosity has made to the enrichment and intellectual life for students and faculty. So that is where that money is going, that is what it is for. And it has been transformative. Now, having said that, it is always critical to ensure that the agreements that we sign with donors do not infringe upon academic freedom in any way. In other words, that faculty or students are as free as they were before, to pursue their own interests driven by curiosity and their particular judgment. TV: Do you think that’s currently the case? TV: Sure, but the types of terms. MG: Where, for example, a donor had said, well, this is a fund to create scholarships, but I would like these scholarships to be available only for students that come from this particular place, or that are associated with this particular company, or that sort of thing. We just said: “Well, look, if this is not based on merit or need, then we have a problem.” So, we have pushed back. It’s not fun to say “no” to multi-million-dollar gifts, but you do from time to time have to do that, and I think that we will continue to have to do that from time to time, so it’s really important to have these public discussions and debates, and to reaffirm the importance of these basic principles. TV: Absolutely. So we’ve been talking a lot about how the university is expanding on this campus and on Scarborough and Mississauga, and one of the things that The Varsity has been reporting on a lot in the last few months is deferred maintenance costs, so I know that when a donor gives a gift, like say the Goldrings, it’s often matched by another level of government. What I’m wondering is who pays for the upkeep of the Goldring Centre for High-Performance Sport in 20 years? Who pays for it in 50 years? MG: Well I think this is a really good question, and we are, I think, catching up with the big deferred maintenance bill that was associated with buildings that were built many years ago, let alone the ones that we’re building today, but it has forced us to be, I think, much more careful in how we think about regular maintenance of new buildings, and ensuring that the operating costs that are associated with those buildings are probably defined to include not just heat and light and cleaning and security, but the need for ongoing maintenance, so that we prevent ourselves from getting into these difficult situation 50 years or 30 years down the road. TV: Because, the current bill, and I know there’s another assessment coming out in February, but the 2012 bill, was about $400 million. TV: Obviously not all of that is urgent, but it seems like a massive expenditure. MG: It is a massive expenditure, and we’re certainly not the only institution that’s facing a bill like that, but because of the large number of old buildings that we have, we’re probably disproportionately affected by this. So, we did have a process within the university of prioritizing which deferred maintenance needs are most pressing, and making sure that those are addressed. We have actually made quite a bit of progress in the last few years in shortening that last, and making sure that all the highest-priority needs have been addressed. So I think we have a much better process in place right now than we did five years ago, and while it won’t be solved overnight, I think we do have a good set of systems in place that will certainly allow us to make progress there, and on a continued basis. Of course we will continue to go after every bit of government funding that might be available for specific purposes. For example a building like University College has a lot of heritage aspects to it, and there are special funds both federally and provincially that are available from time to time to help with those particular needs, and we’ve gone after those funds quite successfully. TV: Working with ASSU is very different than working with the UTSU, with college councils. Have you had a chance to meet with student leadership so far? TV: Have you met with the colleges? MG: You mean the heads of college councils? MG: No, I haven’t yet. I’ve interacted a lot with students at the colleges, of course, when I was Dean of Arts & Science, and the principals very close, but haven’t yet met with leaders of college councils, but I’m sure that those meetings will be coming up in my future fairly soon. TV: Because, as you know, the ongoing conflict between some of the colleges and the UTSU has been more or less the same for several years now. Do you see a way out of this situation? Something you can offer as the new President? TV: There hasn’t been any progress in six months. MG: Well I’m not party to that discussion directly, so I would advise you to talk to the Provost for further details on it, but I think it’s important to take the time that is required for these issues to be aired in a fair and full way, and see what kind of resolution we can broker. We’ll certainly work hard to try and broker some kind of working and sustainable solution. TV: Is there a deadline for you though? I mean the student commons is now not going to be on the table for at least this year. We’ve got a student timetable that’s often very different from an administration time table. Is there a point at which you’ll step in? MG: I would not be getting directly involved, I think this is very much in the domain of the provost who’s the chief academic officer of the university, is responsible for student life issues as well. So I would encourage you to have this conversation with her. TV: I guess the last question, is five years from now what would you like to be able to look back at U of T and say this is better, this is different because I was president? MG: Yeah, well, I think it does come down to the three things I’ve been talking about a lot, and let’s do them in reverse order. So, we talked about reinventing and remained undergraduate education and we have spent now the better part of half an hour at least about those issues in this interview. So I would certainly hope that the gains we have made have been surmounted and we can build on them even further so we can see the student experience beginning to improve, experience in the classroom and outside the classroom. So that’s the first thing. Second thing: I’ve talked about deepening and strengthening international partnerships, and this is to the benefit of everybody including students, where we want to have ever more creative forms of international engagement for students. For example, professor Joe Wong in the Asian institute with colleagues in Fudan University in Shanghai, that pools students from Shanghai and from Toronto in the same class and faculty from both universities share the teaching. They move our Toronto students to Shanghai for the purpose of doing so. There’s no reason by the way that we couldn’t do the opposite and bring Shanghai students to Toronto. We have already quite a strong relationship with the University of Fudan, and with Joe Long and his colleagues at that university, so I’d love to see us building on models like that and applying similar ideas in our partnerships in other parts of the world as well. Third: I would really like this university to embrace its city setting in ways that it hasn’t up until now, in ways that it perhaps could or should, including the satellite campuses — so Mississauga, Scarborough and St.George. Why? Because first of all it’s good for the city, to lend our expertise and our spaces to the city for their benefit. But on top of that we also make U of T better, because the better that Toronto gets, the easier it is to attract great students to come here, the easier it is to attract great faculty and staff to work here as well and to hold on to them, they’re always in hot demand, so we have to work very hard to keep them. We want to find ourselves five years from now where our relationship with our city partners has gone from good to great and we have gone to a place where the kind of collaboration that exists between the university and the city around it has become strong, effective and successful. TV: Hopefully we’ll be there in five years. MG: I hope so. I’ll be working hard. It’s difficult to imagine that something as ubiquitous as the book could ever be in danger of becoming obsolete. The written word has been a subject of continued technological innovations­—from clay tablets and papyrus scrolls, to monotype and linotype machinery during the Industrial Revolution. While all of these steps towards the modern book seemed radical at the time, they all stayed true to one feature that seems integral to the book in its traditional conception: its physicality. The “Digital Revolution” has changed this central aspect of the book, which for so long was unquestioned and immutable. 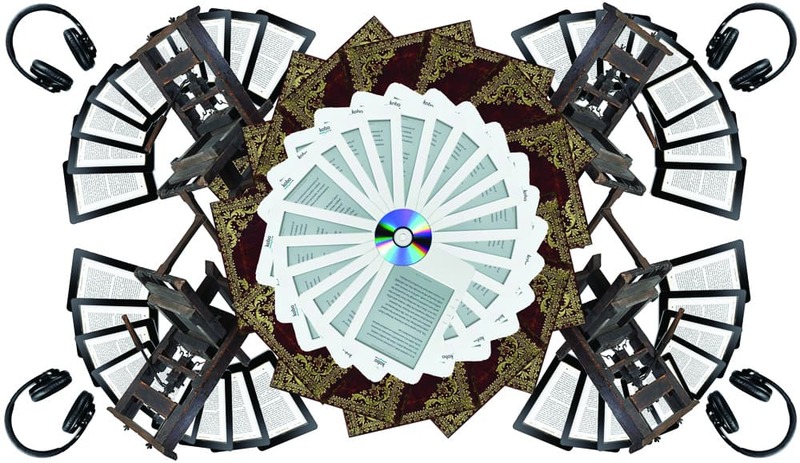 Books no longer need to be heavy codices, with static story lines that are solely reliant on the reader’s imagination—new and creative formats are pushing these limits, and the field of publishing is bustling with new potential. In spite of this, these new possibilities are paired with warnings of the “death of print” and other losses in the publishing industry. As university students today, we are the first generation to study literature in the digital age. Some students use e-books as cheaper alternatives to textbooks, and many prefer finding scholarly articles in an online database when doing research, instead of trudging up to the Robart’s stacks. Reading online has become an inevitable part of daily life for many, but it represents a fundamental shift towards digitization that impacts the way students approach and understand texts. Using digital publishing, writers can easily have their works published, and can exert control over much of the publishing process. In turn, readers have unprecedented access to a variety of free or inexpensive self-published works online. Hammond’s class examined online interactive fiction as one of the new forms emerging from digital publishing. 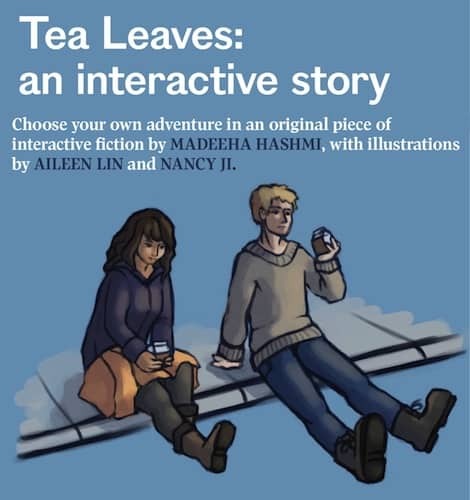 Interactive fiction allows the reader to choose the path the character within the story is going to take, leading to a different plot and outcome each time. “While most print fiction is linear, many digital texts have massive numbers of possible pathways, and the reader actually gets to ‘co-author’ the work in a sense… The author still lays out all the possibilities in advance, and gets to decide where, and what, choices are possible”. Hammond’s favourite example is Stephen Marche’s Lucy Hardin’s Missing Period, an interactive novel published by The Walrus in 2010. The marriage of technology and literature allows for other mediums of storytelling to be incorporated into the reading experience. Digital literature breaks down the traditional barriers between media —combining words with images, videos, sounds, and music—to create an immersive experience. While developments in digital publishing have posed a challenge to the traditional print publishing industry, digitization does not necessarily point to the death of the printed word. Publishing houses have had to change their mandates in order to build digital and web presences. They have adapted their approaches to the changing market for the literature, which has produced exciting results. One person affected by these changes was Cynthia Good. Good was president and publisher of Penguin Books for 20 years before working for The Walrus magazine and taking up a position at Humber College as director of the Creative Book Publishing program. The program prepares students for careers in the changing publishing landscape. While the debate over CD-ROMS is no longer a concern, similar discussions are being conducted over the viability of e-books, and returns on investments in them. Engaging the reader directly is now a cornerstone of publishing and promoting literature, according to Good. “One of the big changes that have happened in publishing is the fact that both writers and publishers directly approach their readers one-to-one, which did not happen in the past. In the past, publishers dealt with book sellers and librarians and not directly with the public, and writers were even one step more removed. And now, everybody contacts the reader directly to try to engage them and excite them, about the writing and the book,” she said. Many publishers produce book trailers promoting the release of much-awaited novels. Authors interact with their readers as a means of promoting their work, answering fans’ questions over YouTube and other social media. Additional online material is often made available with the purchase of a book. These strategies point to the importance of combining print products with complementary digital content that engages readers across both mediums. A recent example is the digital companion for Khaled Hosseini’s novel, And the Mountains Echoed. Produced by Penguin, “The Echo Project” provides visuals to accompany each page of the novel, ranging from thematic music and interactive elements to recordings of Hosseini reading parts of the book. This harmony of the digital and print results in an interactive reading experience. Reading was once solely an exercise of the imagination; today, it has the potential to be whatever experience the reader desires. Although technology develops and is rendered obsolete at a dizzying pace, print books have never gone out of fashion since their inception. The print is not being replaced with the digital; rather, writers and publishers are fusing these forms to tell vivid, interactive stories in new ways. Regardless of the medium, at the heart of it all is the text itself — the fiction that provides its reader with a story to engage in, however they choose. Read an interview with two Torontonian BookCrossers, who leave books for other people to find. Around the world, there is a dedicated community of book-lovers who use technology to celebrate the printed book. Known as BookCrossers, they aim to connect people through books by sending literature into the world for anyone to stumble upon and enjoy. To participate, you register a book online at www.bookcrossing.com where it gets a code that you write inside the book, along with a link to the website. You then release the book anywhere you choose — whether on a park bench, in a tree, or in a coffee shop. When someone finds it, ideally, they log in to the website and register its current location. Once they read the book, they then leave it elsewhere for the next BookCrosser to find. Users can keep track of their book and its travels, with some books logging thousands of catches and releases all around the world. The Varsity interviewed two avid Torontonian BookCrossers, Lauren Rossow and Christina Laurence, usernames hoserlauren and pink-oeria. The Varsity: Why did you get involved with BookCrossing and what has made you fall in love with it? Lauren Rossow: I have always been a big reader but never really knew what to do with my books after I finished reading them because there are too many books in the world to go back and re-read any of them. BookCrossing was perfect for me. You never know where your book will wind up or the lives they will touch. 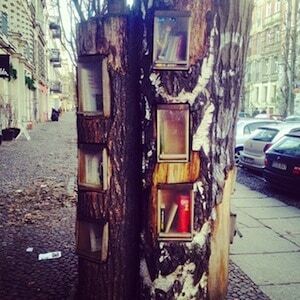 I also love the BookCrossing community. There are many BookCrossers in the GTA, and every so often, we meet up for lunch and talk. TV: Can you explain a little about RABCK (Random Acts of BookCrossing Kindness), and any other BookCrossing offshoots that make this experience even more personal and enjoyable? Christina Laurence: RABCKs… can be a number of things. There are people that offer up books or related goodies in a draw, and sweeps where people send a book to the winner — for example, there are the ‘Thriller and Tea’ and the ‘Chick-lit and Chocolate’ ones. BookCrossers are incredibly generous and it really enhances the BookCrossing experience in my opinion. There are also Release Challenges where people are challenged to do certain releases. In November, I always host the ‘E-less’ challenge, which challenges people to release books without an ‘E’ in the title. There are also games to do themed releases, like the Monopoly game where the teams would work out among themselves how to release the books related to their theme. Points were awarded for originality of execution. Additionally, each year, one country organizes the official BookCrossing Convention. BookCrossers from all over the world come together to celebrate their love of reading and sharing books. TV: Can you give an anecdote of one of the most memorable moments you have had with BookCrossing? LR: One of my most memorable BookCrossing catches was a book that I released while on vacation at Lake Louise, Alberta. The book was dropped off on a ledge by the lake. A few months later, a journal entry had been made that the book was picked up in Scotland. Obviously, it changed hands in between Alberta and Scotland. It’s just amazing how far your books can travel! TV: Where are the best places in Toronto to go hunting for books? LR: The Official BookCrossing Zone (OBCZ) at Harbord House Pub is a great place to start your hunt! The underground PATH has been a favourite of mine for wild releasing recently, and [I] have had luck finding books at the Starbucks at Yonge and Bloor. The BookCrossing website allows you to “go hunting” for books, to find where books have recently been wild released. TV: Do you use e-readers or any other electronic devices to read on? Why, or why not? CL: Yes, I use an e-reader. For several reasons: I am running out of space for my books in my house, so anything I want to keep I tend to buy for my e-reader. I also find it easier to buy books that way… And I also travel a lot, so it’s more convenient to pack my Kindle with hundreds of books on it rather than a suitcase full of books. I still really enjoy reading “real” books, and I love the feel of them, so I don’t think the e-reader will replace my regular books. TV: With the growing use of e-readers and online books, do you think there is a danger of print books becoming obsolete? LR: While I do believe that the use of e-readers will become more prevalent, I don’t think we’ll ever see a time where printed books no longer exist. Printed books hold memories. When you picked up a used book, you wonder where it came from. You look for the notes on the pages and the dog-ears. The only difference e-books make for me in terms of BookCrossing is that I am now asked whether I want a paper copy or electronic copy of the book when I swap or trade. CL: I would certainly hope not. I still love real books, and I think it is much nicer to give a printed book as a gift rather than an e-book. And you can’t sell e-books second hand either. I don’t think printed books will become obsolete anytime soon.